I’ve been to three conferences and one company visit, all in the last two weeks. Telomerase has been a common theme. When cells divide, their chromosomes lose a bit of their tails (telomeres) at each end. Though no information is lost, this is a process that can’t go on forever. Indeed, cells are programmed to die when their telomeres get too short. And here’s something that is less well appreciated until recently: before they die, the cells in our body with short telomeres can do a lot of damage. They send out chemical signals that can cause inflammation leading to cancer, heart disease, and dementia. As we get older, the cells have been through more generations, and the telomeres get shorter. The body knows how to make them long again: there is an enzyme, telomerase, for this express purpose. But the body keeps telomerase locked in a strongbox*, and geneticists haven’t yet figured out how to reproduce the key. Short telomeres are associated with a steep rise in mortality, independent of age. It may be that telomere length is one of the body’s clocks by which it tells how old it is. 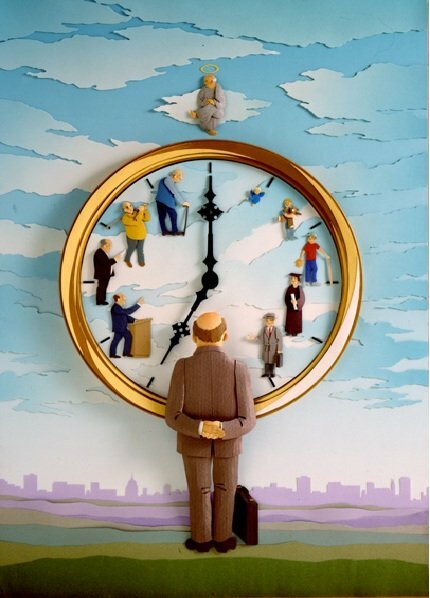 It may be that simply lengthening telomeres can set the body’s clock back. You’d want to try this with mice first, but the trouble is that it’s a difficult study because mice don’t keep their telomerase locked up. Their telomeres are always plenty long. So in order to do the study, you have to first create an artificial strongbox in the genome, then lock the telomerase up to see the animals age, then unlock it to see if the animals get young again. This study was done at Harvard Med School in 2010, and the results were amazing and spectacular. The mice degenerated terribly without telomerase, then they regrew their atrophied tissue when telomerase was turned on. They got smarter and stronger and their hair grew back. It was all we could have hoped. But perhaps it was a special case, since the mice had been artificially deprived of telomerase to begin with. Still, the experiment shows great promise. Cut to the chase: What can we do right now to get telomerase into our bodies? You can’t eat telomerase or even inject it, because it is only effective inside the cell nucleus. But every cell knows how to make telomerase. The trick is to signal the cell to make its own. Strategies with supplements and medication have just become available the last few years. Several products now on the market are effective, though none is nearly strong enough to actually halt (or reverse) telomere loss. Claims are often couched in FDA-sanctioned language, and published results are scarce. But I have judged that the potential for better health and longer life is too great to wait until the dust clears before beginning to treat myself. Several extracts of the Chinese herb astragalus (huang qi, 黄芪) have been found to stimulate expression of telomerase. Silymarin from milk thistle is another publicly known ingredient. Some products have ingredients claimed as trade secret. Astragaloside IV and Cycloastragenol are available from Chinese suppliers Astraglaxo and Crackaging. They are still rather expensive, because only trace amounts of each compound are found in astragalus root – but costs are dropping rapidly. Theoretically, whole astragalus should contain too little of these compounds to be of any use, though there is one study that claims whole astragalus is effective in activating telomerase. Cycloastragenol is claimed to be much more effective than Astragalocide IV, but the compounds are closely related and knowledgable chemists with whom I’ve spoken claim that Astragalocide IV turns to cycloastragenol in your stomach. The most expensive and best tested of the astragalus formulations is TA-65, a secret, patented formula. How can it be both secret and patented? The patent covers several different chemical compounds. A lab analysis, published online, claims that TA-65=cycloastraganol. TA-65 (from TA-Sciences) is the best-documented and most expensive of the products listed here. A few weeks ago, I reported that TA-65 was the same as cycloastragenol, according to analysis done by Revgenetics lab. I’ve since talked to two of the people who have been involved in telomerase products since the beginnings at Geron Corp. One told me that TA-65 is a “sister molecule” to cycloastragenol. The other told me his lab had tested both TA-65 and cycloastragenol for ability to promote telomerase in cell cultures, and that TA-65 was (weakly) positive while cycloastragenol was negative. Meanwhile, scientists at TA-Sciences say that TA-65 contains a single active ingredient, which they will not identify, though they say it is not cycloastragenol. The label refers to a patent 7846904, which covers cycloastragenol, astragaloside IV, and several other related molecules. Product B was developed by Sierra Sciences, and is sold by Isagenix. The formula is based on silymarin, and contains many other herbs, listed here. Many of these ingredients are associated with credible health claims. (I’ve recently become interested in N-Acetyl Cysteine, which is a precursor to the endogenous antioxidant glutathione.) But the particular formulation seems to be based on art rather than science. Stem Cell 100. The company’s web site features data from a study of flies which lived twice as long when fed Stem Cell 100. The same web page lists 9 herbal ingredients of Asian origin, including astragalus and green tee and several that are less well-known, and which I have not yet had time to research. I haven’t been able to find reference to a peer-reviewed publication of the impressive result with flies, but many other studies of individual herbs are listed on the company’s research web page. T-Activator 100 and T-Activator 200 from Telomere Biosciences are the least documented of these products. I could not find out what is in them, and email to the company’s director has yet to be returned. Centagen seems to be still gearing up. The best research is being done by Sierra Sciences. They have screened tens of thousands of candidate drugs, and have hundreds of “hits”, meaning that they stimulate cells to express telomerase more powerfully than the astragalus extracts. With further modifications and development, these chemicals have the potential to keep up with the rate of loss from cell division, and perhaps to restore lost telomere length. But they are all untested and somewhat toxic. They need to further test these chemicals, tinker with them, see if they can increase efficacy while simultaneously lower the toxicity. Three years from now, we may have a candidate drugs for human trials. *technically, it is in the DNA, but the gene for telomerase is not “expressed”, or turned into the active form. You can get Cycloastragenol from Medicass. I have been taking it for 5 years as well as family members. Although I dont see any real de aging, it hasnt done any harm. I think it might work minimally. No big breakthrough sorry to say. I am waiting for some sort of injection. Has anyone done any research on the McKenzie Protocol product HTA98? Yes, there are telemerase activators on the market. Whether or not they are effective remains to be proven. Right now a better idea is just to pick some of the low-hanging fruit on the Tree of Life: Creatine, melatonin, astazantin, taurine, even the lowly aspirin, and such small molecules known to extend lifespan. That may keep a person alive long enough for scientists to get the complicated stuff figured out. But doesn´t taurine upregulate IGF-1? Does Tamoxifen extend telomeres as well? Would love to see an update on telomerase research if you have time.